Can A Business Continuity Plan Save Your Reputation? Reputation Management is a hot topic in the boardroom these days. Having a solid business continuity plan could make or break your company’s ability to survive a data breach or other systems failure that could tarnish your hard-earned reputation. Company news about data loss, systems downtime and other unplanned interruptions occur with regularity. According to technology research firm Gartner, a business that has a catastrophic data event has a two-year survival rate of just 6%. Surprisingly, your company can avoid these scenarios by having a solid BC/DR Plan. It is no surprise that recent research by MarketsandMarkets forecasts the spend on DR as a Service (DRaaS) to grow from $1.68 Billion in 2017 in revenue to $11.11 Billion by 2020. Read on to find out how a Business Continuity Plan could save your business. A great place to start with Business Continuity planning is a review of your company policies and procedures. Your business continuity policies should — in addition to identifying the technical standards for managing your company’s applications, data, and related infrastructure — should identify acceptable risk, what your employees will do in a disaster recovery scenario, and identify any compliance requirements. It is important to understand what information is most important and to consider the risks of suffering a data loss. What would be the impact to your revenue, productivity and reputation? If you could not access your information, or it was subject to data breach, how may that impact your customers’ trust and your business’s reputation? Ensure you have a solid data protection plan. Ask yourself; how often is your data backed up, how fast could you recover if needed, who are the stakeholders and how would you communicate with them if you suffered a data loss? Another consideration is your Recovery Time Objective (RTO). Your RTO is how long it will take to restore your data. The size of your data and backup methodologies can impact how long recovery may take. Your network may also be a factor in how quickly you can get up and running. Network bottlenecks can turn a routine restore into a never-ending project. Make sure your network is robust enough to meet your Recovery Time Objectives. Also, remember to train your employees on how to avoid malware and phishing schemes. Last but not least, test your backups regularly to ensure data integrity. If you find yourself in a situation where your data has been compromised, most experts agree you should respond quickly and proactively. As of last count, the United States had 48 state data breach notification laws to comply with. Many countries around the world have various data protection breach notification laws as well. The EU is in the process of implementing The General Data Protection Regulation (GDPR), which establishes data protection guidelines for its citizens’ information. Having a Business Continuity plan could save your business. 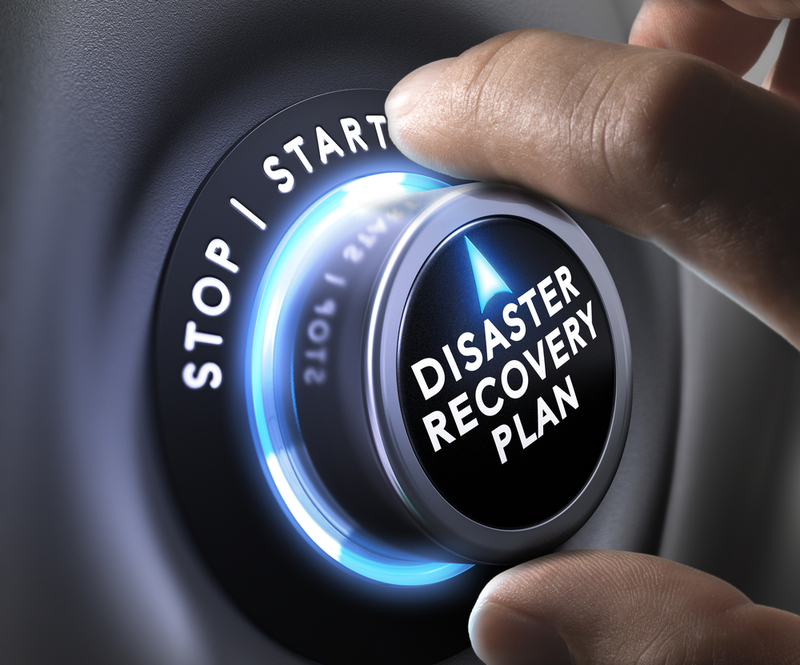 Being able to rapidly respond in a disaster recovery scenario is a critical element of survival. Not only will it help you get back up and running quickly, you will avoid unnecessary fines and protect your company’s reputation. If you feel your business would benefit from a risk assessment, contact your technology advisor today.